This headrest clamp can be used as an accessory when you require the headrest to be offset from the midline position on the chair. 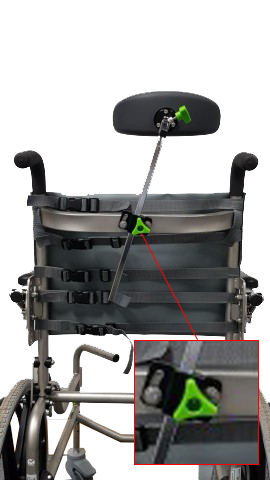 Very easy to fit, the angle of the headrest post can then be adjusted to the correct angle, and the headrest itself set at a position correct for the user. All headrest designs are compatible with this bracket.